Eczema has become more and more common in our society. When I first gave birth to my elder daughter, eczema was not the norm. But a few years later when I gave birth to my younger daughter, I have heard a lot of my friends’ kids suffering from eczema. Unfortunately, my younger daughter is also suffering from eczema since she was born. When the weather is hot and humid, her skin turned to red and rashes easily. The red patches are normally very itchy and she couldn’t stop scratching her skin hence worsen the situation. Over the years,I have done a lot of study online and went for workshops to seek advice from the expert. 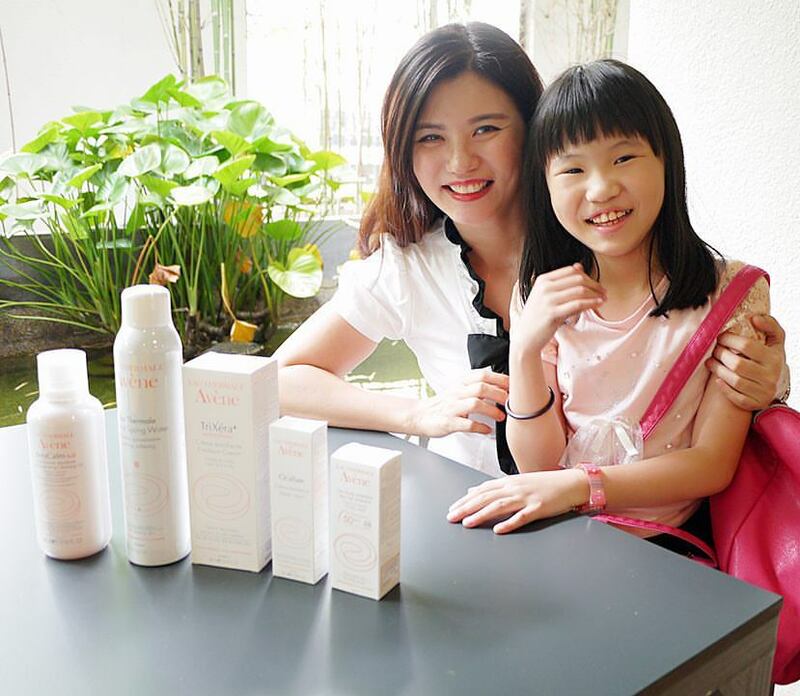 Last month, I had participated the workshop conducted by Eau Thermale Avène (Malaysia) with the theme of ‘Hope for Eczema’ held at Boulevard Hotel Mid Valley, thanks to the sponsored by Eau Thermale Avène Malaysia. There, I have learnt that they are a lot of kids and even adults suffering from serious eczema. 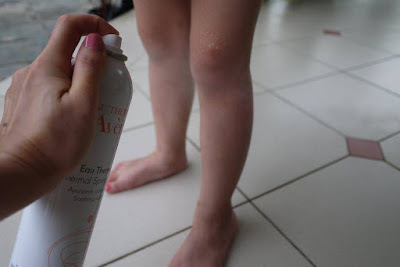 Atopic Eczema is called Atopic Dermatitis in scientific name, where everything begins in infancy, with dry skin that becomes porous and cracks. In fact, some of the patients are having serious Atopic Eczema that they have to go to Avène Hydrotherapy Centre located in South-West France for treatment once a year. They use the soothing Avène Therma Spring Water to treat skin disorders for over 2800 patients upon dermatologist prescription every year. This is a new product by Eau Thermale Avène. I personally use cleansing oil a lot on my face, this is my first time using cleansing oil to clean the body for my girls. Contain I-modulla™ complex, CER-OMEGA and rich in AveneThermale Spring Water, the Eau Thermale Avène XeraCalm A.D. Cleansing Oil is rich in texture to provide the skin a better resistance against external aggressions. Eau Thermale Avène XeraCalm A.D. Cleansing Oil is soap-free, paraben-free, fragrance-free but when emulsify with water, it will foam up a bit. It could be used in shower by lather onto wet hands before applying to the skin, as well as in bath where we pour the equivalent of 5 pumps into bathwater filling the tub. Rinse thoroughly and dry without rubbing. Result? Clean and nourished skin without feeling tangling nor irritation. When the skin has been cleaned, I spray a generous amount of Eau Thermale Avène Thermal Spring Water for soothing and softening purposes. The mist is fine and refreshing, I also used it in anytime of the day when needed, especially during travel.It helps calms itching and redness on her skin. 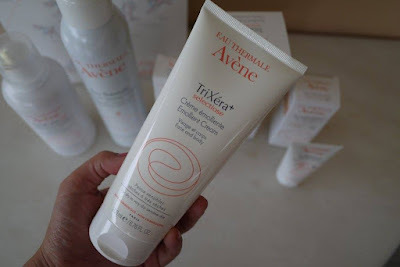 Eau Thermale Avène TriXera+ Selectiose Emollient Cream could be used for face and body. Suitable for the whole family, from dry to very dry skin. I apply it on my girl after clean and spray Eau Thermale Avène Thermal Spring Water. It helps the skin regains balance and the skin feels comforted and soothed. By that, the skin is less irritated and preventing them from scratching their skin. Contain micronized sucralfate, a unique ingredient to restores skin comfort quickly. 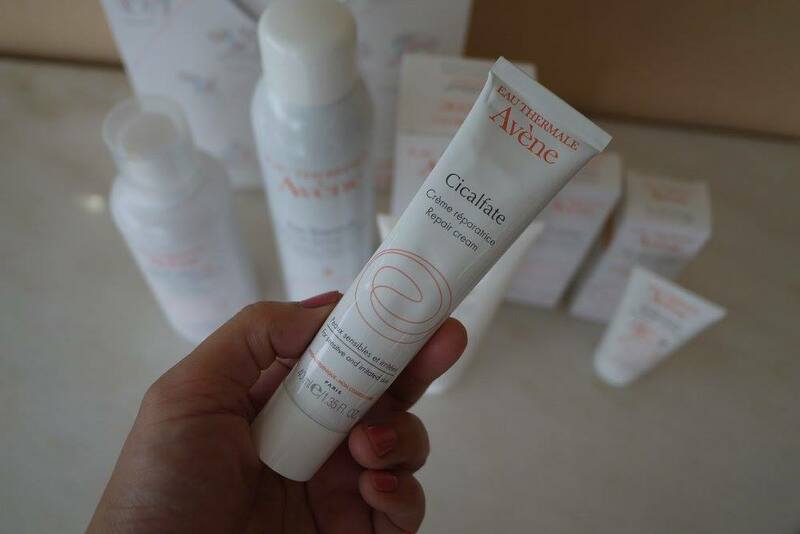 The Eau Thermale Avène Cicalfate Repair Cream could be apply once or twice a day on clean, dry skin. The formula is so gentle that even infants could use it too. Eau Thermale Avène advice users to apply Eau Thermale Avène Cicalfate Repair Cream on non-oozing wound to speed the healing process. We all know that UV rays is harsh to skin, and would irritate skin hence a proper UV protection is needed for everyday. 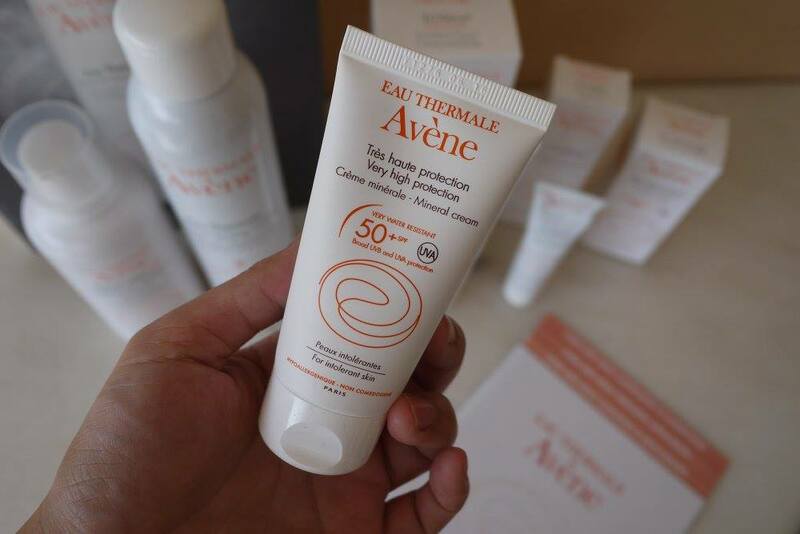 Eau Thermale Avène Very High Protection Mineral Cream SPF50+ provides broad UVB and UVA protection while the formula is so gentle that even intolerant skin could use it too. The mineral cream is fragrance-free hence it is pleasant to apply on. It is easy to use, apply Eau Thermale Avène Very High Protection Mineral Cream SPF50+ evenly on face and body before sun exposure, and reapply frequently. This mineral cream is lightly tinted with a rich, creamy texture. A little is all I need for the face and body. After repeating the above routine for 3 weeks, my girl’s skin has not flare-ups and she is a happy girl now. With the right products, there is hope for eczema. 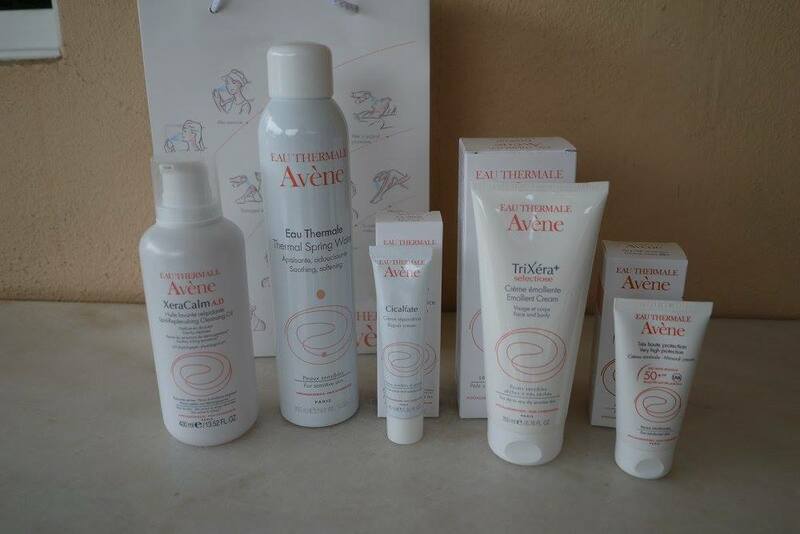 All Eau Thermale Avène products are made in France, and reasonable priced. It is available in major pharmacies. Eau Thermale Avène XeraCalm Cleansing Oil and Trixera+ Selectiose Cream are exclusively at Caring pharmacy. This looks promising, for someone who suffers from eczema I'm gonna give this a try and see how it goes. I know this brand really good but didn't know that it helps to treat eczema too! 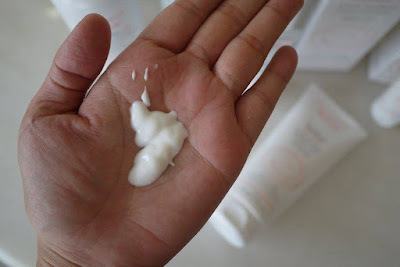 I know that its very hard to treat eczema. Today gone, and tomorrow come back. For me, the main key here is their food, because that is the root cause. 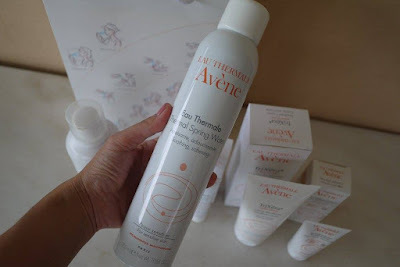 Avene is one of my fave products too! 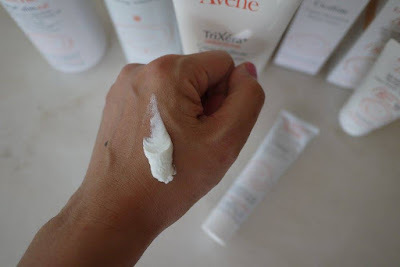 Avene is the best product i've ever used. 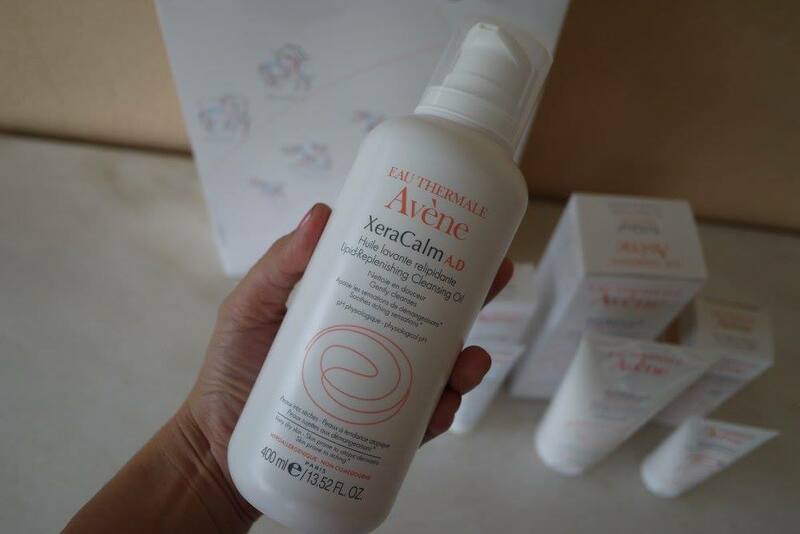 I gt dry and hyper sensitive skin that i can even use any foam type cleanser, Avene just safe me with their products! Am happy to know that your daughter's condition is under control. It can be really difficult for sufferers. 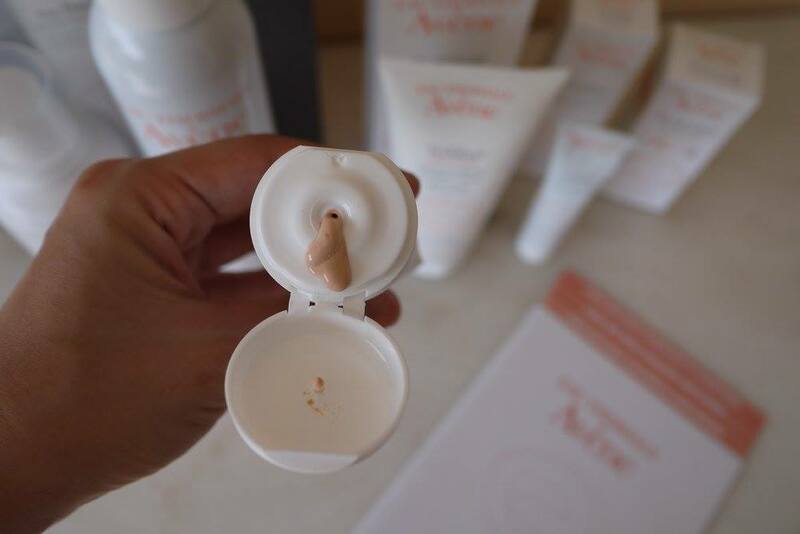 Always love using Avene products because it is good. It's too bad that so many people strugglewith this issue. And at the same time it's good that there are products like these to help and clear it. I do not know that it was suitable for kids too! Glad that there's a cure for eczema! 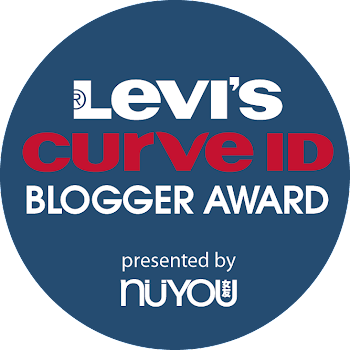 Cheers to Avene! This is a solution people have been waiting for. Hope this product reaches the homes of those who need it.